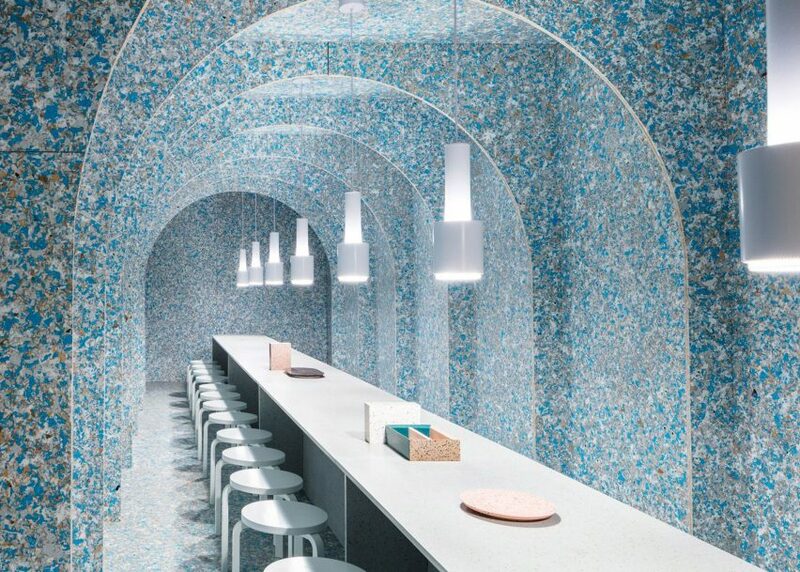 Zero Waste Bistro by Finnish Cultural Institute. Photograph by Nicholas Calcott. 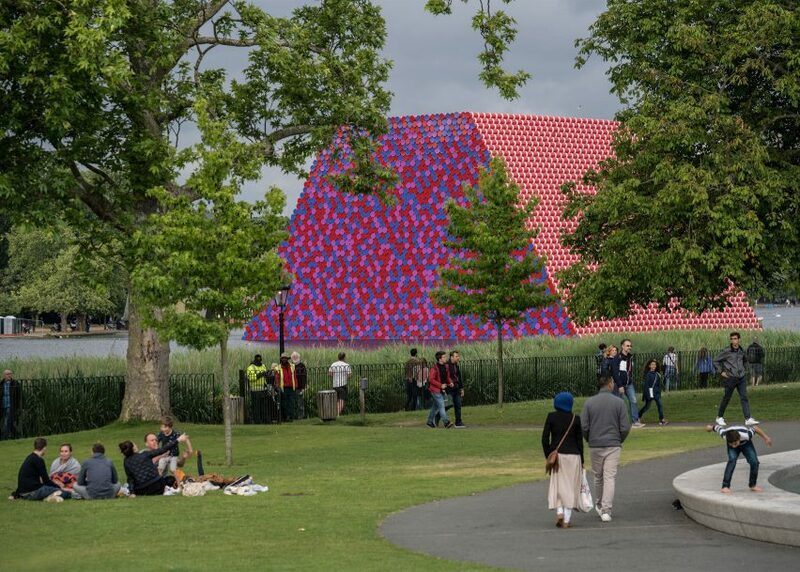 Installations were bigger than ever in 2018, from a six-metre-high Trump blimp to an inflatable mirrored sphere at Burning Man festival. For our review of 2018, social media editor Sabina Sohail selects her top 10. 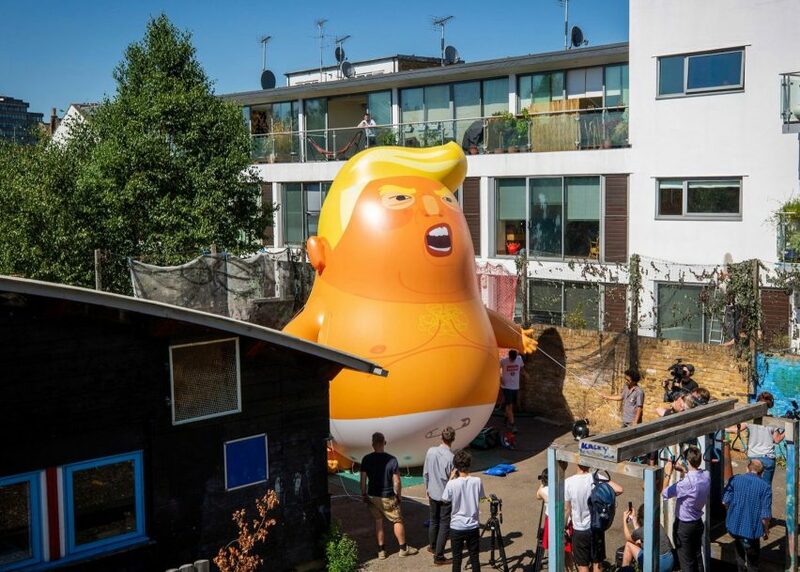 A six-metre-high blimp picturing Donald Trump as a cartoon baby took flight over London's Houses of Parliament during the American president's visit to the UK in July. The comical project was created as a symbol of the public's opposition to the visit, and was approved by London mayor Sadiq Khan. Comprising 7,506 painted barrels, the structure was entirely self funded. It was on show for three months. 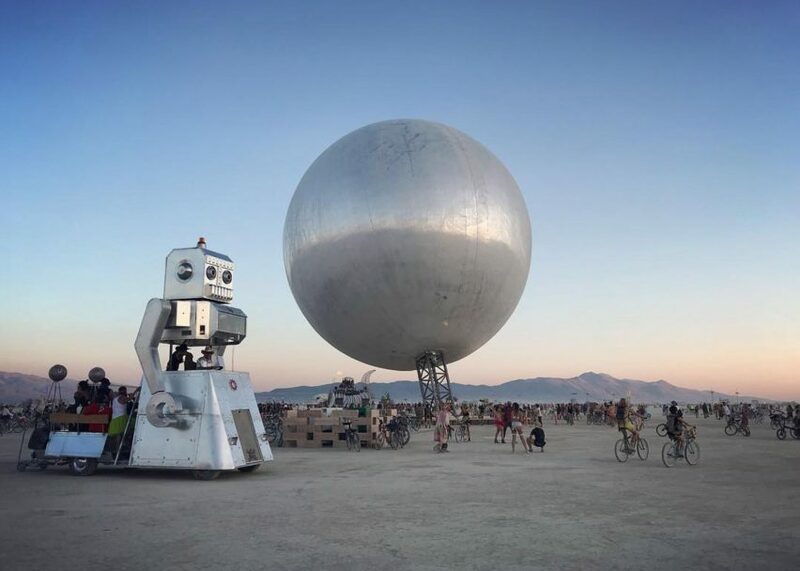 BIG architects Bjarke Ingels and Jakob Lange used a $50,000 (£37,907) crowdfunding campaign on website Indiegogo to help them take their "giant reflective art piece" The Orb to the annual Burning Man festival. Images later emerged by photographer Alex Medina showing that the structure, although certainly grand in scale, was not as reflective as originally planned, thanks to the volume of dust moving across the desert site. Japanese art collective TeamLab made the headlines several time this year, thanks to a series of impressive digital installations. Among the most spectacular was this project that debuted at the National Gallery of Victoria in Melbourne. 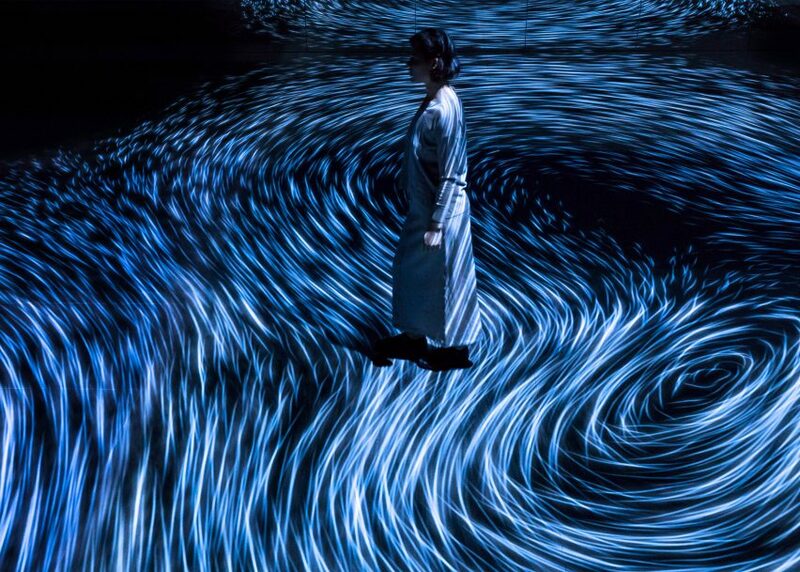 Designed to look like a whirlpools, it was created from "immersive and responsive" lights that projected moving lines on the floor. This were reflected infinitely by mirrors on the walls. The first zero-waste restaurant in the Nordic region was transported to New York for the WantedDesign exhibition. Created with recycled food packaging, the temporary dining space composted all of its waste. Its aim was to promote the circular economy to designers, engineers and architects. Instagram sensation The Color Factory spent the first part of 2018 in San Francisco, before moving to New York City. 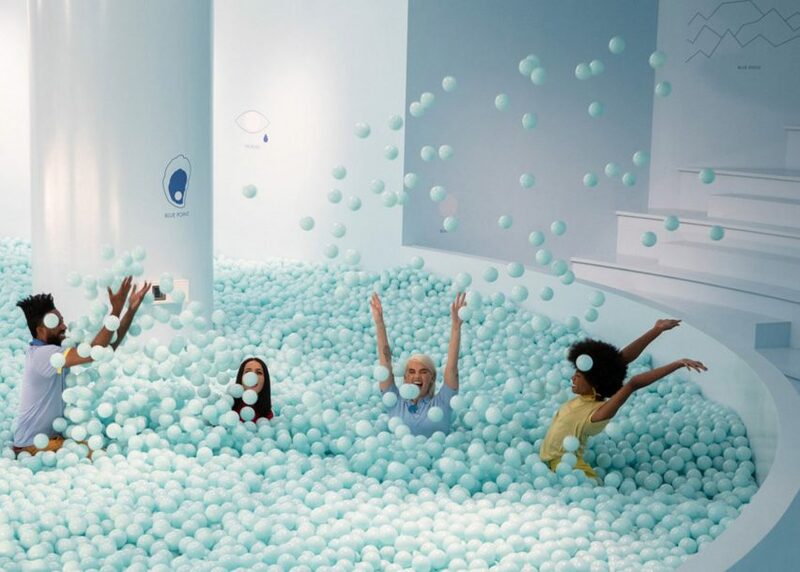 The interactive installation included a myriad of tonal installations to take photos in, including a giant blue ball pit and a disco room. One of the most photo-friendly installations at this year's Venice Architecture Biennale was created inside the Australian Pavilion. 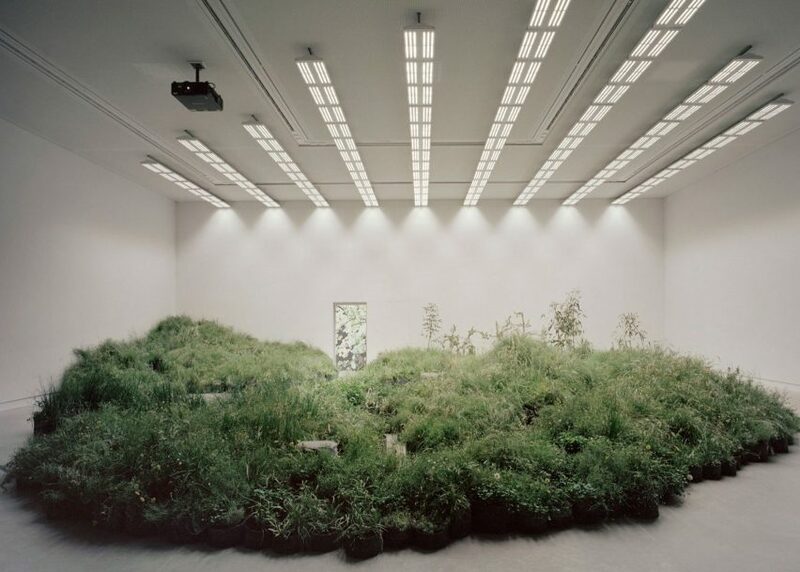 More then 10,000 plants, including 65 different grassland species, were used to recreate the indigenous grassland of southeast Victoria in the space. The curators hoped to highlight how this landscape is being gradually lost. 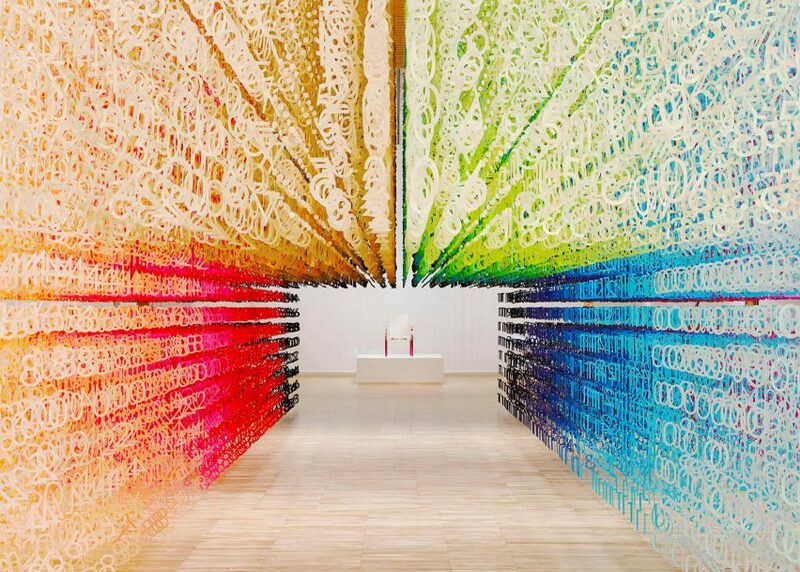 Artist Emmanuelle Moureaux used over 100,000 paper number cut-outs to create this multihued installation, designed to visualise the passing of time. Shown at the Toyama Prefectural Museum of Art and Design, it formed part of a series of exhibitions exploring the different functions of materials. 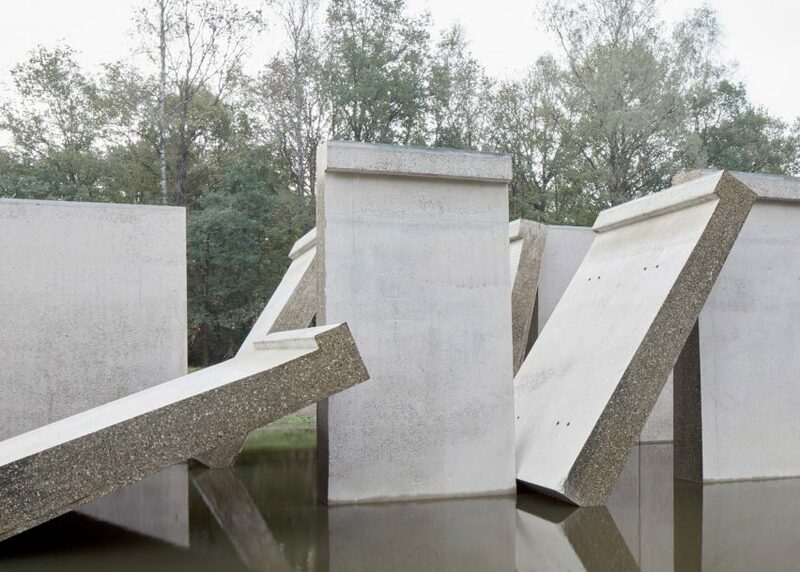 Billed as the largest monument in the Netherlands, this colossal artwork was created from the disused Delta Flume in Waterloopbos, a basin built in the 1970s to test defences against rising sea levels. Dutch studios RAAAF and Atelier de Lyon cut the old structure into pieces and created a flood around them. 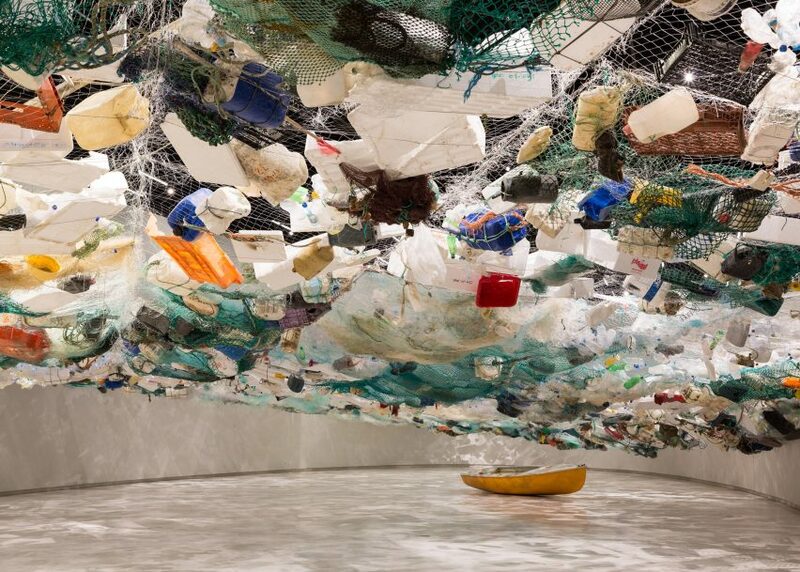 Paris-based artist Tadashi Kawamata wanted to help people understand the impact of pollution on the environment with installation of ocean plastic in Lisbon's MAAT museum. The installation comprised both plastic waste and boats, found on Portugal's coastline by the volunteer clean-up group, Brigada do Mar.